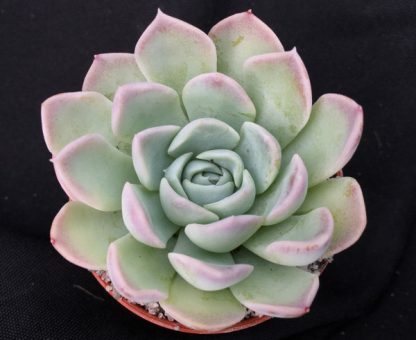 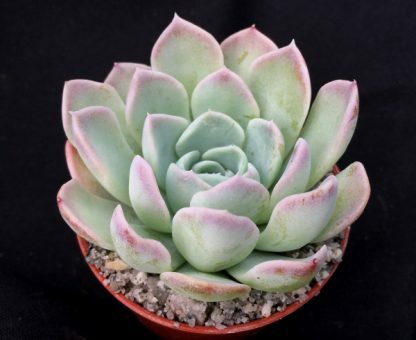 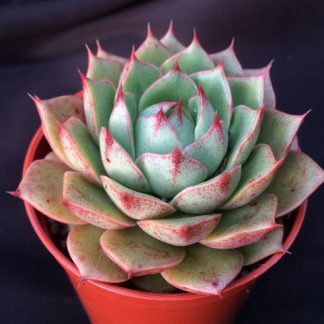 Echeveria ‘Big Blue’ produces a tight forming large rosette, with beautiful pale blue foliage and a hint of pink on the tips of the leaves. As it matures it will offset and produce a nice neat cluster. 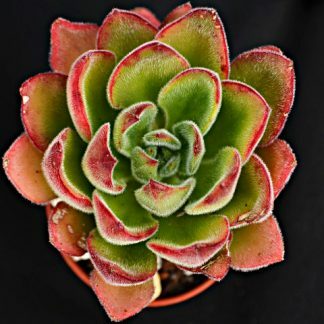 It grows incredibly well as a specimen plant for a windowsill or conservatory, a must have in any collection.